In March 2019 the Jeanne d’Arc Task Group, composed of FS LHD Tonnerre and FS La Fayette, acted in support to EU NAVFOR operation ATALANTA. 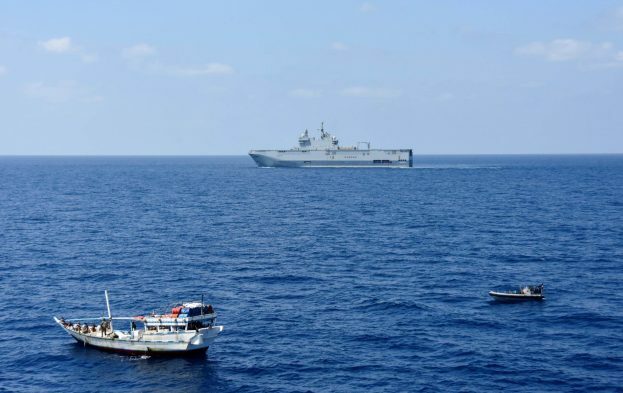 Both ships observed Best Management Practices being implemented by the vessels off the coasts of Somalia, in order to deter piracy activities. In addition, a Falcon 50 aircraft from squadron 24F deployed in the area, as well as, an Alouette III helicopter from squadron 22S onboard Tonnerre maritime surveillance as well as reconnaissance missions were conducted. All these means and actions were paramount in order to maintain stability in the Gulf of Aden and Indian Ocean, zones with vital strategic maritime routes. It is worth nothing that, at the same time, this operation allowed 130 trainee officers to understand and learn of the organization of naval forces in an operational context.